This ancient recipe of a pharmacist was found in 1972 in a Buddhist monastery in the mountains of Tibet. It was dated to be 5,000 years old. PREPARATION: Add 350 grams of crushed garlic in a glass jar. Pour over it 220-250 grams of 95-96° alcohol, rum or other spirits. WARNING: The alcohol may not contain other substances, like benzalkonium chloride or methanol. Close the jar hermetically and place in the refrigerator for 10 days. In the 11th day filter it all with a very fine strainer or gauze.The resulting liquid is poured into the same pot and placed another 2 days in the refrigerator. 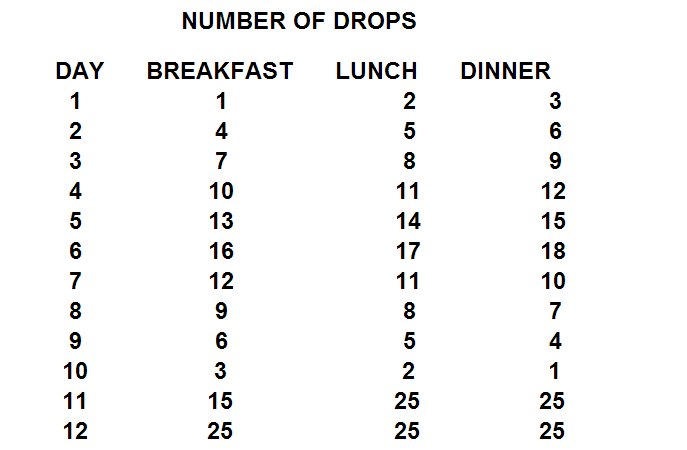 Number of Drops Continue with 25 drops/ 3 times a day, until you finish the entire quantity. THIS THERAPY MAY BE REPEATED ONLY ONCE EVERY 5 YEARS! via 5,000 Year Old Buddhist Health Recipe | We Support Organic. Testimonial * More and more Reconnective healing get mix in with my Tachyon energy sessions. It just happens. I don't ask for it or wish for it but some clients experience all the beauty and sensations of the reconnective healings. Testimonial * My first session had an amazing impact on me. It felt as if i touched God during the session. I felt revived and relieved. Thank you Sakshin. Vitamine B17 verboden. Het geneest kanker! Leo M on Detox and Relieve Constipation with this Apple Cider Vinegar & Honey Drink! © 2019 Sakshin.nl. All Rights Reserved.